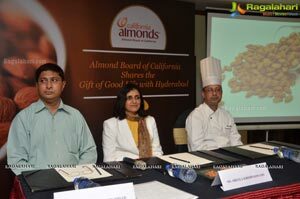 Hyderabad, June 4th, 2015: Almonds are a healthy and versatile ingredient to cook with during these summer months. 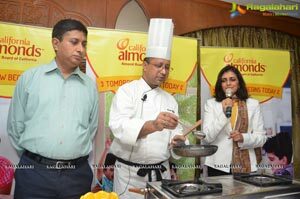 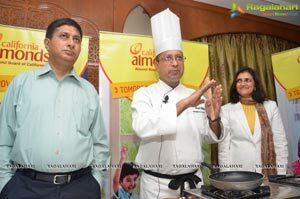 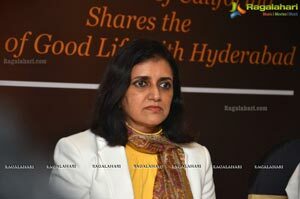 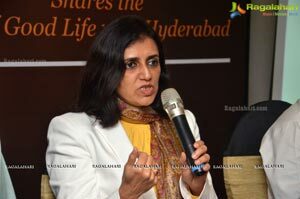 This was demonstrated in an interactive and fun afternoon celebrating health and good taste in Hyderabad today, as eminent Dietician Sheela Krishnaswamy came together with renowned Chef Sannat Chitrakar, to talk about the multiple health benefits of almonds and versatility of the nut. 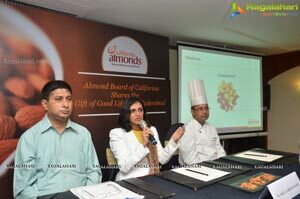 The eminent dietician bust myths regarding the consumption of almonds during hot summer months, and shed light on their anti-oxidant content, their role in appetite and satiety and overall wellbeing as demonstrated by various international studies. 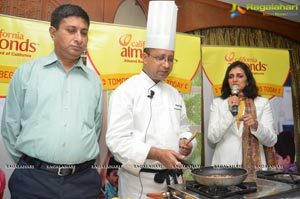 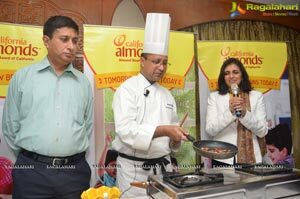 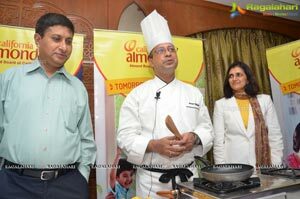 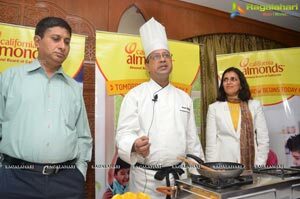 The dynamic chef showcased the usability of the nut of good health, in a live cooking demonstration of an easy almond snacking recipe, and delicious ways of incorporating the nut in one’s daily diet. 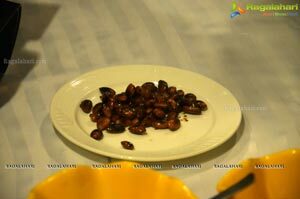 “Some of our clients express concern about consuming nuts in the summer. 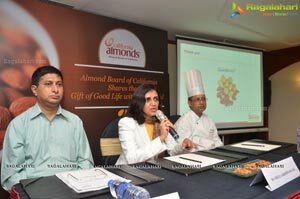 However, there are no studies that indicate any ‘heat generating’ effect of almonds. 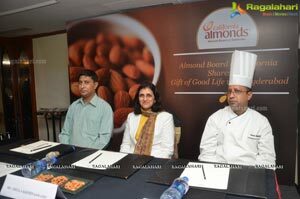 Almonds should be consumed daily and throughout the year for their health benefits, ease of use and satisfying taste.” added Sheela. 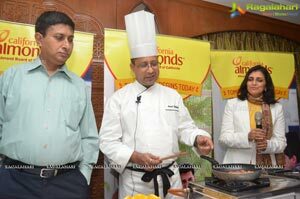 Roast almonds in a pre-heated oven at 100o for 8-10 min. 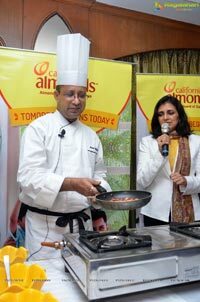 While the almonds are hot, add olive oil and sprinkle with anardana churan. 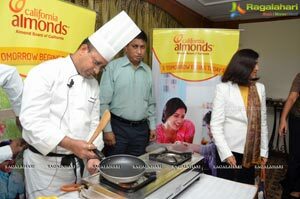 Toss it to evenly dress the almonds with churan. 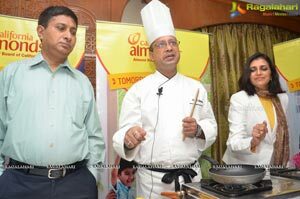 Cool and transfer to an air tight container. 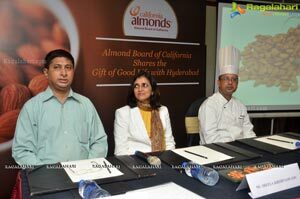 Almonds from California are a natural, wholesome and quality food. 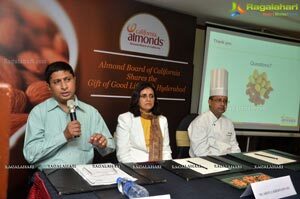 The Almond Board of California promotes almonds through its research-based approach to all aspects of marketing, farming and production on behalf of the more than 6,000 almond growers and processors in California, many of whom are multi-generational family operations. 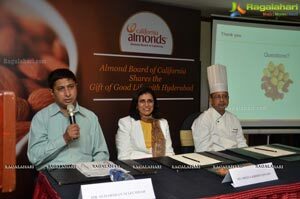 Established in 1950 and based in Modesto, California, the Almond Board of California is a non-profit organization that administers a grower-enacted Federal Marketing Order under the supervision of the United States Department of Agriculture.